Global Art Forum and Residents is supported by The UAE Ministry of Foreign Affairs and International Cooperation. Located in Al Quoz, Dubai, Alserkal Avenue is the region’s foremost arts and culture neighbourhood. 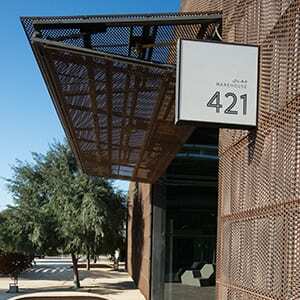 Since it was established in 2007, Alserkal Avenue has grown to become an essential platform for the development of homegrown artistic and cultural initiatives, supporting a vibrant community of contemporary art galleries and alternative art spaces, together with design, media and industrial studios. In 2015, in addition to its commitment to the community, Alserkal Avenue affirmed its position as an arts organisation with the launch of Alserkal Avenue Programming. The programming arm produces an annual homegrown programme for local, regional, and international audiences, working primarily with artists living and working in the MENASA region. An Artists’ Residency is scheduled to launch in March 2017, further enhancing the organisation’s breadth and scope. Art Jameel is a not-for-profit organisation that supports artists and creative communities. Current initiatives include running heritage institutes and restoration programmes, plus a broad range of arts and educational initiatives for all ages. The organisation’s programmes foster the role of the arts in building open, connected communities; at a time of flux and dramatic societal shifts, this role is understood as more crucial than ever. Art Jameel’s model is collaborative: major institutional partners include the Victoria & Albert Museum, the Prince’s School of Traditional Arts and the Metropolitan Museum of Art; locally, the organisation works with individuals and organisations to develop innovative programming that embraces both ancient and new technologies, and encourages entrepreneurship and the development of cultural networks. 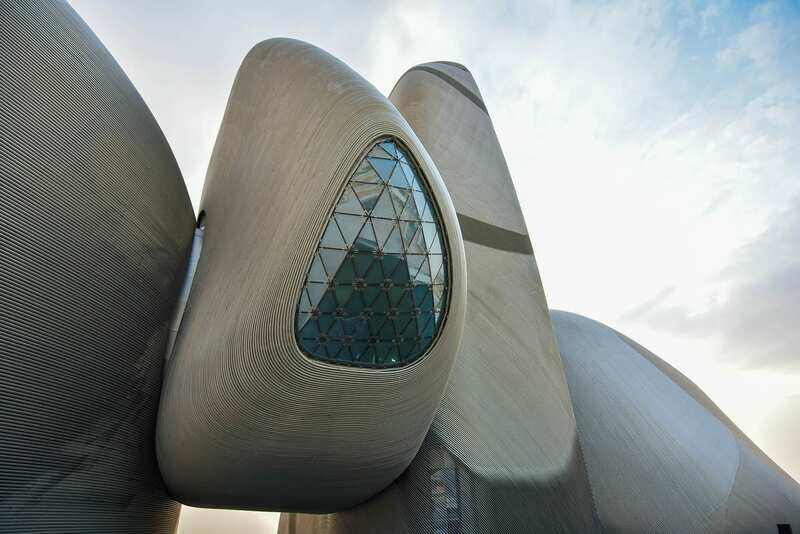 The King Abdulaziz Center for World Culture’s building with its unique architecture rises as a shining beacon of knowledge in Dhahran’s skyline. This cultural institution, which is an initiative by Saudi Aramco, is significantly located near the Prosperity Well where oil was first discovered in the Kingdom of Saudi Arabia. The purpose of this ambitious initiative is to accelerate the Kingdom’s transformation into a knowledge-based economy as envisioned by HM King Abdullah who laid the foundation stone for this iconic building. The Center features a modern architectural design, state-of-the-art technologies, unique learning tools, and enriching programs. It is an important platform for artists, designers, intellectuals and innovators. The Center – a diverse cultural space – has a 21st century library, an idea lab, an oasis for children, a four-gallery museum, art exhibits, an archives gallery, an energy exhibit, and a knowledge tower which stands at its heart to offer educational programs that cater to all age groups and fields. The Center’s programs were all designed to inspire the community, enrich the culture, and support the Kingdom’s efforts towards establishing a knowledge-based economy. Since 2012, the Center has introduced a number of initiatives including a modern and contemporary arts exhibition in collaboration with Centre Pompidou, the Bridges art residency which aims to create cross-cultural dialogue, and most recently the introduction of the ‘Ithra Art Prize’. 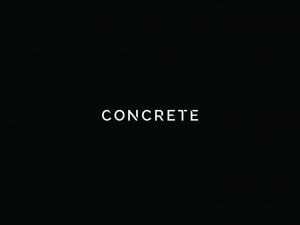 Conceptualised by Alserkal Avenue, Concrete is the first building in the UAE to be designed by the Office for Metropolitan Architecture (OMA), founded by Rem Koolhaas. 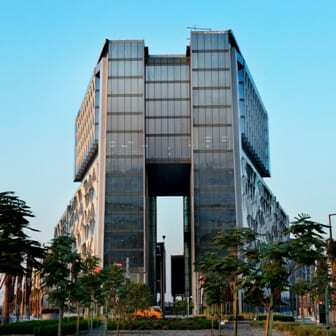 A multi-disciplinary space located in Alserkal Avenue, Dubai, the adaptability of Concrete and its ability to metamorphose to bring creative visions to life makes it suitable for both international, museum-grade exhibitions as well as unique conceptual fashion, film and corporate events, conferences, and private functions. Covering 600 square metres, the space has multiple distinct configurations and can host up to four separate events at the same time. 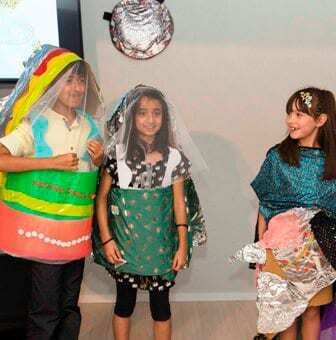 The Sheikha Manal Little Artists Program is supported by The Cultural Office of Her Highness Sheikha Manal Bint Mohammed Bin Rashid Al Maktoum. Established in early 2013 to serve as the official platform to develop and activate substantial art movements as milestones within the region. Many existing art-related projects have now been directly placed under the cultural office and a lot more of future planned programs will help raise the profile of the pool of talents existing in the region. The Cultural Office combines the best art practices and concepts from around the world and tailors it to respect and preserve our legacy and culture in the Arab world for International recognition. 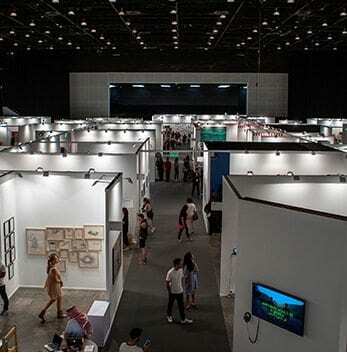 Art Dubai 2019 was supported by Wicked. 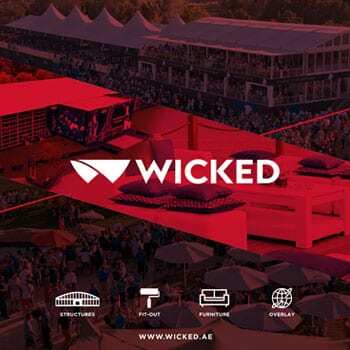 Wicked is specialized in offering unique, versatile and dynamic venue solutions to the Middle East market. WICKED can support you in the creation of permanent, semi-permanent or temporary venues for a multitude of purposes. We can deliver a stand-alone structure or a fully serviced solution aligned to your exact requirements. Whatever package or service level is chosen, a Wicked venue is guaranteed to exceed your expectations and change your perception of a temporary structure forever! Art Dubai Residents is supported by Dubai Design District. Dubai Design District (d3), a member of TECOM Group, is a destination dedicated to design that reinforces Dubai’s new status as a UNESCO Creative City of Design. Established to provide a platform for the region’s growing number of designers, creative professionals and artists to unite, create and inspire, d3 has fast become a hub for inspiration and innovation. Located in the heart of Dubai, the thriving neighbourhood is home to emerging designers as well as international brands. With over 450 creative partners, including architects, interior designers, photography studios, product and fashion designers, d3 also has more than 45 retail stores and eateries. The Design Quarter at d3 offers visitors the opportunity to discover a variety of design showrooms and art galleries, indulge in authentic dining experiences, and shop at homegrown lifestyle boutiques, fashion ateliers, and international design showrooms. d3 is also a popular events space that attracts international artists and audiences to cultural exhibitions and gatherings such as Dubai Design Week, Fashion Forward and Sole DXB a regional lifestyle platform for footwear, fashion, culture, art and design. 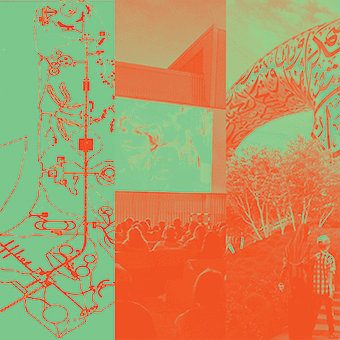 In addition, the destination regularly hosts a roster of industry talks, workshops and educational programming, accessible to people of all ages. Now open to the d3 community and the district’s visitors, The Block at d3 is a space to escape, relax, unwind and get fit. The recreational facility features a skate park, a basketball and volleyball court, climbing walls, an urban beach, as well as outdoor seating and entertainment areas. 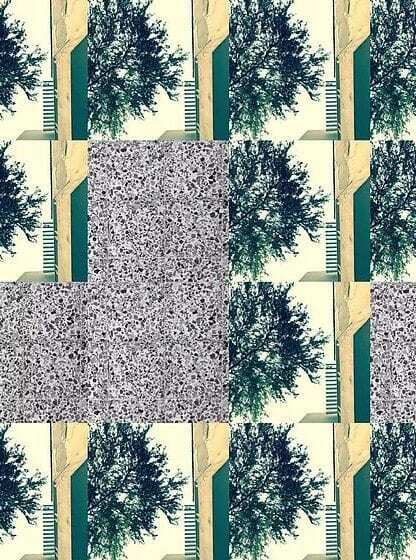 Art Dubai Residents is supported by Tashkeel. Established in 2008 by Lateefa bint Maktoum, Tashkeel is a contemporary art organisation based in Dubai committed to facilitating art and design practice, creative experimentation and cross-cultural dialogue. Placing the artist at the core, Tashkeel supports the UAE’s creative community through studio facilities, artists’ residencies, international fellowships, exhibitions, events, and workshops. As part of its commitment to support locally-based creatives, Tashkeel offers two annual programmes providing support and encouragement for both designers and artists. The Tanween programme is one of Tashkeel’s core initiatives, supporting selected designers living and working in the UAE to develop a range of products that are showcased at Design Days Dubai and are available as limited editions under Tashkeel’s design product label, Tanween. The Critical Practice Programme, provides sustained and empowering support to up to three artists each year to develop their work in an environment that encourages progressive experimentation and cross-cultural exchange. The programme feeds into Tashkeel’s exhibition schedule, with participating artists exhibiting their works in the gallery. Tashkeel’s exhibition space accommodates up to six main projects a year, as well as a series of small-scale events. The programme includes solo and thematic exhibitions, screenings, workshops and seminars, fulfilling Tashkeel’s commitment to bringing art and culture to a wider audience and engaging the local community. 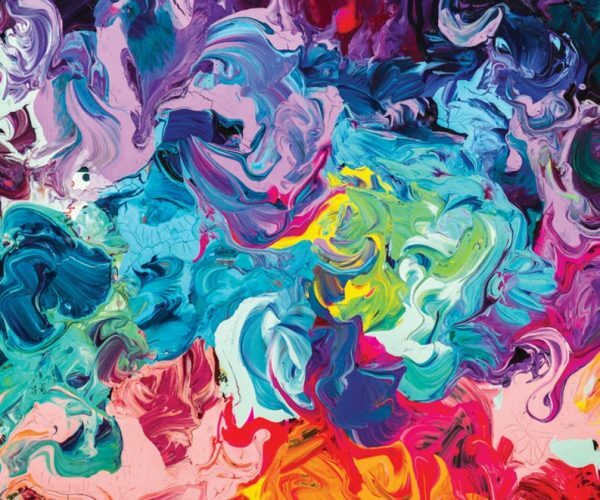 Art Dubai Residents is supported by Warehouse421. 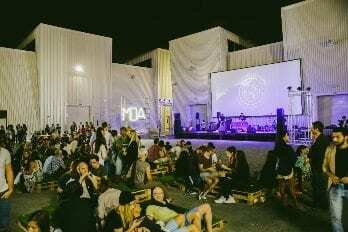 Warehouse421 is a thriving hub for art and culture, design and creativity, performance and music in the heart of Abu Dhabi’s historic Mina Zayed district. Converted from two former industrial warehouses, Warehouse421 showcases the works of local, regional and international artists, designers and performers throughout the year, while providing a rare glimpse into the processes and techniques behind their creations. Warehouse421 also encourages members of the public to explore their own creativity through interactive initiatives including talks, workshops, film screenings and performances. 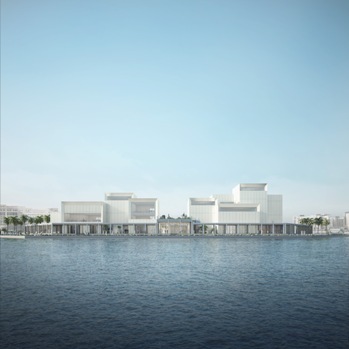 Designed by the respected Bjarke Ingels Group (BIG), Warehouse421 is supported by the Salama bint Hamdan Al Nahyan Foundation as part of its mission to facilitate wider engagement with the arts and culture in the UAE. BAIT 15 is an artist run studio and exhibition space located in a residential neighborhood of downtown Abu Dhabi founded in late 2017 by Afra Al Dhaheri, Hashel Al Lamki, and Maitha Abdalla. 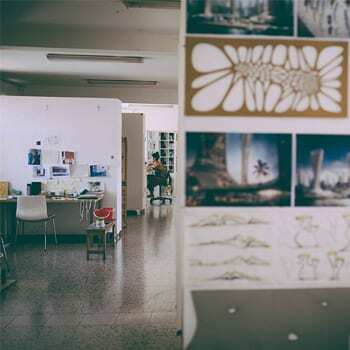 The villa housing BAIT includes; studios, one for each of the members, a dedicated studio for the use of visiting artists, and an exhibition space. The founders have disparate studio practices encompassing a variety of media including painting, sculpture, digital media, and performance. BAIT was conceived from a shared need for studio space and a mutual desire to establish an artist run gallery. By being artist managed and funded BAIT’s mission is open and flexible and can continuously adapt to the emerging art scene of the UAE. It will be guided by the work made in our studios, the exhibitions we hold, and the artists, curators, and communities we engage with. We will welcome a wide range of artistic opinions and critical approaches into group shows, discussions, and workshops. BAIT has the potential to become a crossing point between production and exhibition, continuing the tradition of artists, locally and internationally, situating themselves in spaces and discourses of their own making. Fondazione Cultura e Arte is a branch of Fondazione Terzo Pilastro – Internazionale founded and chaired by Professor Emmanuele F. M. Emanuele. The Foundation promotes, accomplishes and disseminates cultural and artistic projects, based on the fundamental assumption that the various forms and manifestations of art and culture play a leading role in integral personal development, the success of shared values and solidarity and the formation of collective consciousness, bridging the gaps and settling the conflicts in order to support the social inclusion of individuals and constructive dialogue between different nations. The Foundation is engaged in the fields of visual arts and exhibitions, multimedia, publishing, music, poetry and promotes and organises conventions, conferences, round tables and think tanks. The Foundation is the author projects that contribute to increasing the current cultural offer and enhances, through specific grants, the cultural and artistic heritage of humanity, both in Italy and abroad, paying special attention to the Mediterranean Region and in the East. The design of the gallery halls is advised by Ibda Design, an architecture, urban and interior design practice based in Dubai, led by architects Wael Al Awar and Kenichi Teramoto. Ibda Design is an international Architecture, Urban and Interior Design practice based in Dubai with collaboration offices in Beirut and Tokyo. The firm was founded by Wael Al Awar and Kenichi Teramoto. Ibda Design has a multi-disciplinary approach to design, addressing the social, nvironmental, economic and technological aspects of each project in order to tailor a highly specific concept to the given context. Ibda Design develops projects of varying scale and program, approaching each in a unique manner, with the ultimate aim of delivering a distinctive and high quality design. Ibda in arabic means [start].